Dustin (Sarah’s husband) discovered The Hot Room thanks to Sarah. Dustin had no choice and trusted his wife when she told him how much she loved the experience and signed them both up for memberships. Dustin came to class the next day and since then has had a dedicated practice. He and Sarah both signed up for Original Hot Yoga teacher training and now both teach. Dustin’s attention to detail and technical cues make him perfect to lead the traditional 90-minute class. His practice is powerful and it shows. 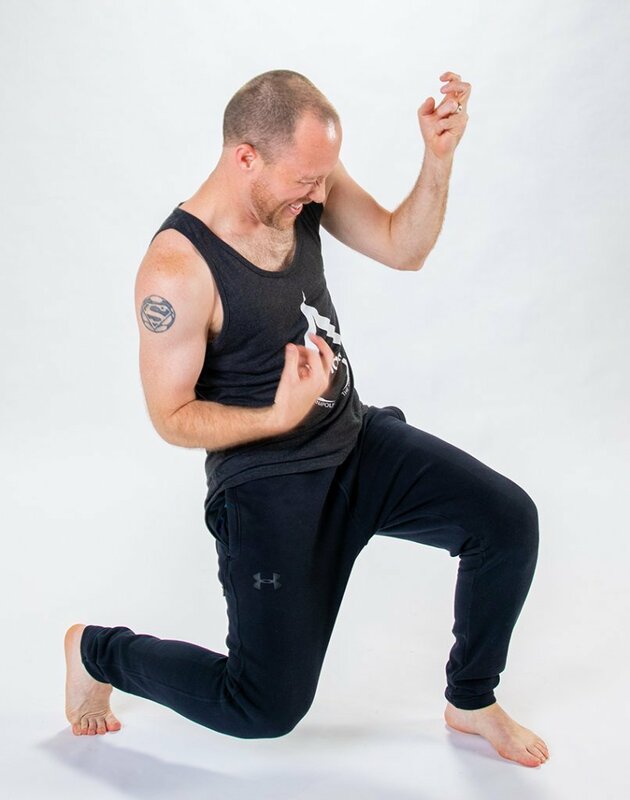 He uses his practice to stop thinking about all the things he must do tomorrow and uses the power of the postures to become very centered and focused. Triangle. Up until this point I’m usually still thinking about things outside the hot room: schoolwork, things I need to do at home, things I’d like to do tomorrow. This is the first posture where I shut all of that out and force myself to do the pose. I only do what the teacher tells me to do, and I do it only after they tell me. I love the power in that. Traveling, eating at nice restaurants, and reading. I played semi pro soccer.